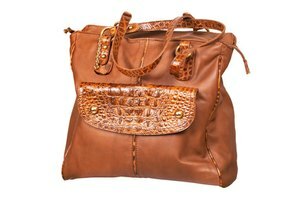 While leather has made a commercial comeback in recent years, it is a particularly delicate fabric that is prone tearing or ripping. If you have a leather wallet that you use regularly, the likelihood of it developing small rips before you are ready to throw it in the bin is alarmingly high. Fortunately, there is a method for repairing rips in leather that will leave the fabric with only minor scarring and prevent it from tearing in the same place again. 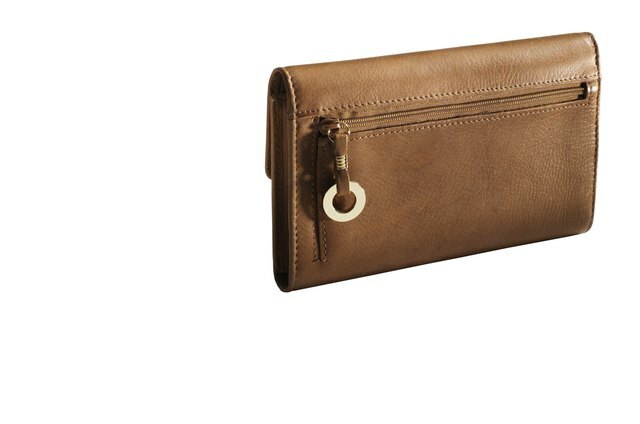 Purchase leather swatches in the same color and style of leather as your ripped wallets. Measure the length and width of the rip in the wallet with your measuring tape. Measure and mark a square or rectangular section of the leather swatch 2 millimeters longer and 2 millimeters wider than the rip in the wallet with your ruler and fabric chalk. Cut the rectangular shape out of the leather swatch with your sewing scissors. This is the piece of fabric that will be used to patch the rip in your wallet. Apply garment glue to each outside edge of the patch of leather on one side. Lift up one side of the rip carefully and insert the patch of leather underneath the rip with tweezers. Match the length and width of the patch to the length and width of the rip, being careful to avoid the glue touching the leather of the wallet at this stage. Pull the ripped leather of the wallet together to join where it had before the ripping occurred. Hold the rip together with one hand and press down on the fabric on either side of the rip with the fingers on your other hand to secure the glue on the patch to the leather on the inside of the wallet rip. Lift up the small amount of loose leather on each side of the tear and apply a thin layer of garment glue to the inside edge of the rip. Press one side of the rip to the leather patch and apply moderate pressure with your fingers to secure the glue. Press down the other side of the rip and apply moderate pressure with your fingers to secure the glue, joining the two pieces of leather in the position they held prior to the ripping. Place two phone books on top of the wallet and leave it for 48 hours. When you return you should see only a small scar where you repaired the rip in the leather. Repeat Steps 2 through 9 with any remaining rips in your leather wallets.